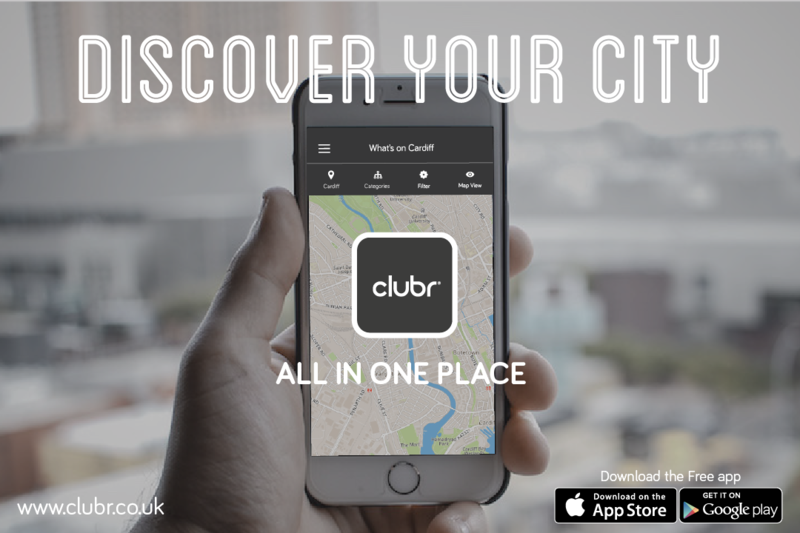 A new app and website service has been launched this month from Cardiff based start-up CLUBR. Supported and part-funded by the Welsh government, the app helps locals and city visitors to discover and search local entertainment, whatever their motive. Bringing together Venues, Events, Offers, Experience vouchers, Industry brands and job listings into one platform, the service aims to make finding things to do easier and save you time compared to using a host of apps or visiting a number of websites. The platform features a customisable location feed that streams all the latest news from an area. Alongside the feed is a search engine that allows users to find and filter exactly what they are looking for. Whether your looking for a special restaurant for a meal, an outdoor event for the family or a lunchtime deal, this service has you covered. Other features include their Anti-touting ticketing, experience voucher gifting and student discount card. They also support independent businesses, allowing them to showcase their brand, events, promotions and offerings using a host of digital tools and their own profile. With businesses controlling their content you can expect accurate and up-to-date results, something not usually seen with these types of platforms.